Fighting "privilege" doesn't require effort.  Making something out of yourself despite disadvantages does. We've become a nation that hates anyone's success but our own. It's not a very deep or profound meme but I like it. It's honest, simple and to the point. I enjoyed its simplicity. It simply eliminates the false idea of privilege and identifies that so-called "privilege" for what it really is... Normality. Or what should be considered normal in a healthy uncorrupted society. 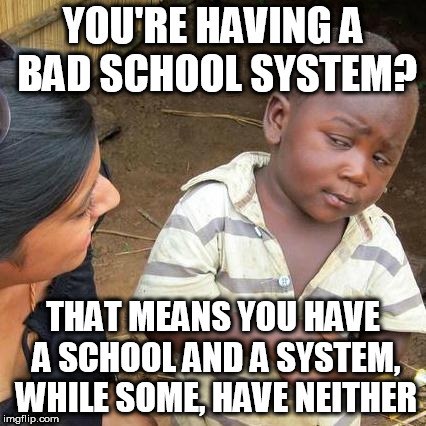 This meme gives people a different way of looking at the world by making it clear that the "advantages" some people posses aren't always really advantages. It is sometimes the case that those who are at a disadvantage need to stop hating on people who were fortunate and lucky enough to live more normal lives and start trying fix their own to avoid or prevent their future generations from having to experience the same. However, those who are fortunate enough to live a very financially secure lifestyle are technically "privileged" at least economically. My previous comment is only specifically referring to people who have a middle class status. I agree. But some parents are single because they don't have a choice. I'll be better off making sense out of the FNaF lore than making sense out of what you said. 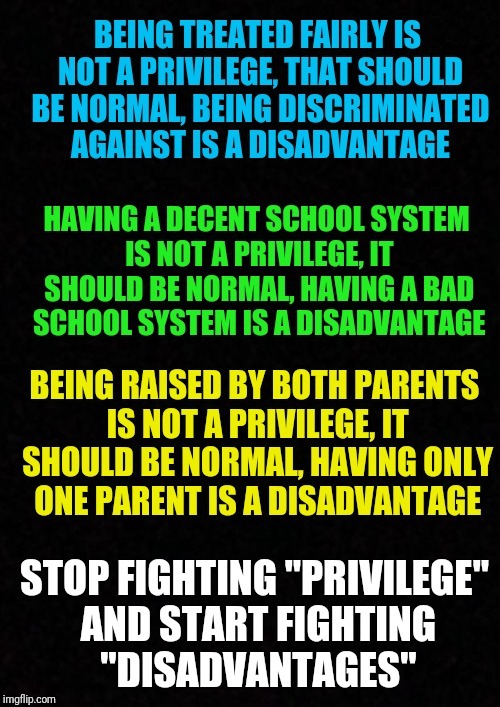 BEING TREATED FAIRLY IS NOT A PRIVILEGE, THAT SHOULD BE NORMAL, BEING DISCRIMINATED AGAINST IS A DISADVANTAGE; HAVING A DECENT SCHOOL SYSTEM IS NOT A PRIVILEGE, IT SHOULD BE NORMAL, HAVING A BAD SCHOOL SYSTEM IS A DISADVANTAGE; BEING RAISED BY BOTH PARENTS IS NOT A PRIVILEGE, IT SHOULD BE NORMAL, HAVING ONLY ONE PARENT IS A DISADVANTAGE; STOP FIGHTING "PRIVILEGE" AND START FIGHTING "DISADVANTAGES"